Welcome to the Tasty Minstrel universe! 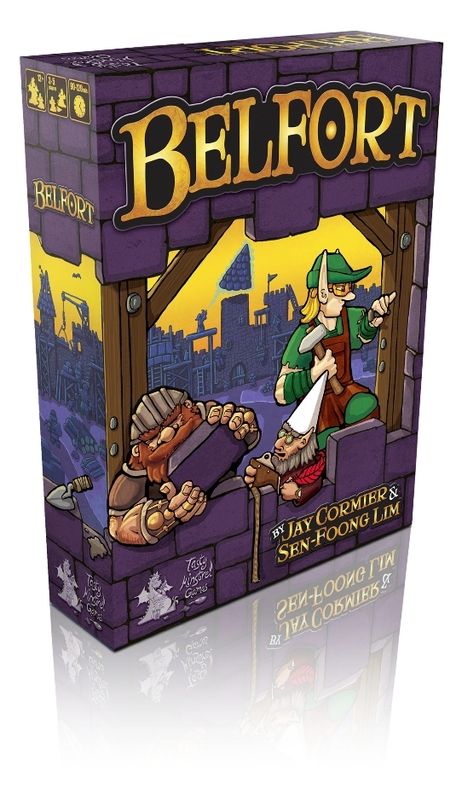 Put your Elves, Dwarves and Gnomes to work in the Village and Guilds of Belfort to collect resources and build up the city!Elves collect wood from the forest while Dwarves collect stone from the quarry. An Elf and a Dwarf together can collect Metal from the mines, and either one can collect Gold. 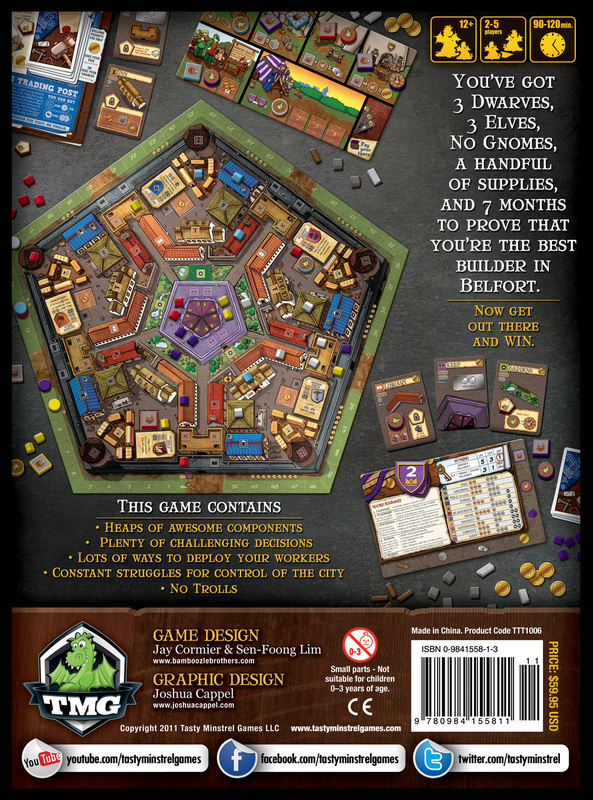 Build buildings in the five districts of the pentagonal city and hire Gnomes to run them to gain their special abilities.